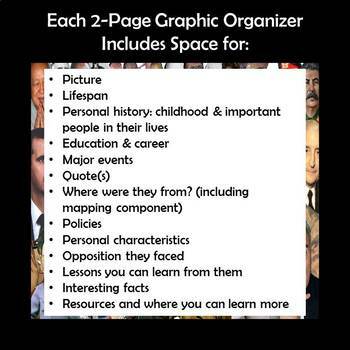 Graphic organizers are a perfect way to ensure your students are keeping their information organized and focusing on the most important aspects of the person they're studying. 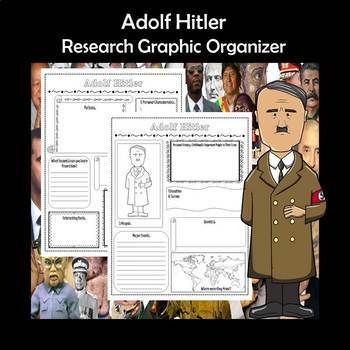 This activity is great for biography projects and can easily serve as a note-taking tool for an essay or presentation. It can also serve as the biography project itself! This graphic organizer is perfect for integrating literacy into other subjects, especially social studies. It allows students to go beyond reading to really interact with the chosen text as they determine which facts are relevant. It would also make a great end-of-year review.